Ocean acidification studies in the past decade have greatly improved our knowledge of how calcifying organisms respond to increased surface ocean CO2 levels. It has become evident that, for many organisms, nutrient availability is an important factor that influences their physiological responses and competitive interactions with other species. Therefore, we tested how simulated ocean acidification and eutrophication (nitrate and phosphate enrichment) interact to affect the physiology and ecology of a calcifying chlorophyte macroalga (Halimeda opuntia (L.) J.V. Lamouroux) and its common noncalcifying epiphyte (Dictyota sp.) in a 4-week fully crossed multifactorial experiment. Inorganic nutrient enrichment (+NP) had a strong influence on all responses measured with the exception of net calcification. Elevated CO2 alone significantly decreased electron transport rates of the photosynthetic apparatus and resulted in phosphorus limitation in both species, but had no effect on oxygen production or respiration. The combination of CO2 and +NP significantly increased electron transport rates in both species. While +NP alone stimulated H. opuntia growth rates, Dictyota growth was significantly stimulated by nutrient enrichment only at elevated CO2, which led to the highest biomass ratios of Dictyota to Halimeda. 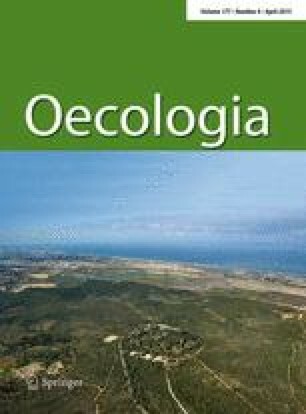 Our results suggest that inorganic nutrient enrichment alone stimulates several aspects of H. opuntia physiology, but nutrient enrichment at a CO2 concentration predicted for the end of the century benefits Dictyota sp. and hinders its calcifying basibiont H. opuntia. The authors would like to extend their gratitude to Dr. Achim Meyer for his technical assistance in experimental set-up and trouble-shooting, and Philipp Laeseke for his participation in experimental maintenance. We also thank Matthias Birkicht and Dorothea Dasbach for analysis of dissolved inorganic nutrients and tissue carbon and nitrogen, respectively. Funding for this project was provided by the German Federal Ministry of Education and Research (BMBF) through the cooperative research project Biological Impacts of Ocean Acidification (BIOACID), the Doctoral Programme on Marine Ecosystem Helath and Conservation (MARES), the European Project on Ocean Acidification (EPOCA), the Max Planck Society FP7 ITN-SENSEnet (PITN-GA-2009-237868) and funds received from the Leibniz Program of the DFG to Prof. Dr. Antje Boetius.